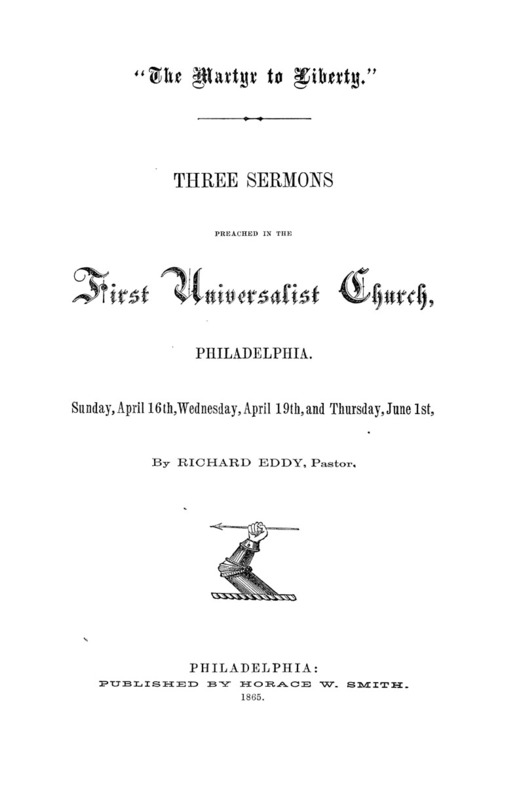 Three sermons preached by Richard Eddy in the First Universalist Church, Philadelphia. This item is in the public domain. As a service to other researchers, we request that users credit the Emory University Libraries as the source.